Dr. Meloy is a board-certified forensic psychologist (ABPP) and consults on criminal and civil cases throughout the U.S. and Europe. He is a clinical professor of psychiatry at the University of California, San Diego, School of Medicine, and a faculty member of the San Diego Psychoanalytic Center. He is a fellow of the American Academy of Forensic Sciences and is past president of the American Academy of Forensic Psychology. He has received a number of awards and honors, and was the Yochelson Visiting Scholar at Yale University in March, 2015. Dr. Meloy has authored or co-authored over two hundred twenty papers published in peer-reviewed psychiatric and psychological journals, and has authored, co-authored or edited eleven books. He has been conducting research and writing on personality disorder, psychopathy, stalking, narcissism, criminality, mental disorder, and targeted violence for the past twenty-five years. His first book, The Psychopathic Mind (Aronson, 1988), was an integration of the biological and psychodynamic understanding of psychopathy. His co-edited book with Drs. Hoffmann and Sheridan, Stalking, Threatening and Attacking Public Figures (Oxford University Press, 2008), led to a commissioned study for the National Academy of Sciences on threats toward public figures published in 2011 (www.nap.edu). His most recent book is the International Handbook of Threat Assessment (Oxford University Press, 2014). 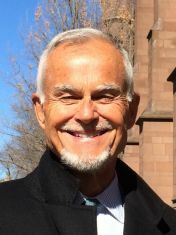 Dr. Stephen White and he created the WAVR-21 (Specialized Training Services, 2007, 2010, 2016 (www.wavr21.com), a structured professional judgment instrument for targeted workplace violence, now in its 3rd edition. Dr. Meloy is a consultant to the Behavioral Analysis Units of the FBI, Quantico, and is the originator and developer of the TRAP-18 (Terrorist Radicalization Assessment Protocol). He was a member of the Fixated Research Group for the United Kingdom’s Home Office concerning threats to the Royal Family and British political figures, and is a consultant to Work Trauma Services, headquartered in San Francisco, and Team Psychology and Security in Darmstadt, Germany. He is also a senior editor of the Journal of Threat Assessment and Management. He was a technical consultant to the television program CSI from its inception in 2001 until its final episode in 2015. The measurement of psychopathy is the most important development in the field of criminal forensic psychiatry and psychology over the past three decades and has become a critical area of assessment in personality disorder. The gold standard for its measurement is the Psychopathy Checklist-Revised (PCL-R). In this workshop, Dr. Meloy will teach participants how to competently and efficiently use the PCL-R in their forensic practices. The workshop will begin with the history and development of the instrument, including more recent adaptations, such as the PCL:SV and the PCL:YV, and continue with an elaboration of the instrument's reliability and validity, particularly in treatment outcome and violence risk assessment. Dr. Meloy will then show how to conduct an interview and review records to gather data sufficient for scoring the instrument, how to quantitatively score the instrument, how to address typical scoring dilemmas, and how to integrate the PCL-R data with other clinical and forensic evidence. Teaching methods will include videotaped vignettes, practice scoring by participants, handouts, and open discussions throughout the workshop concerning participants' questions that have arisen in their work with the PCL-R. Please note: This workshop is being produced in cooperation with the Darkstone Research group and Dr. Robert Hare. Dr. Reid Meloy, co-author of the WAVR-21, will present a one day training on violence risk and threat assessment in the workplace and on campus. The centerpiece of this dynamic event will be the WAVR-21, a structured professional guide, designed for mental health, security, law enforcement, education, HR and legal professionals. First published in 2007, the WAVR-21 includes 21 empirically-based criteria for assessing different forms of workplace violence risk, including student violence in academic settings. Incorporating years of research, the core of the WAVR-21 is the "pathway to violence" approach to cases, as developed by professionals at the US Secret Service and the US Marshals Office. A recent study demonstrated good to excellent inter-rater reliability for The WAVR-21, and validation research continues. The workshop will emphasize integrating the WAVR-21 "tool kit" into dynamic threat case management with its demands for flexibility. Teaching methods will include lecture, large and small group interaction, case vignettes, and video presentations. Common workplace threat scenarios will be addressed, including stalking, subjects driven by paranoia and mental illness, domestic violence, bullying, and chronically anti-social individuals. A sense of entitlement and callous disregard for the rights and feelings of others are the captivating, irritating, and sometimes frightening behaviors that introduce us to individuals with these personality disorders. How can these people be so sensitive to criticism and humiliation? Why do they act with such rage when they don't get what they want? Where is their empathy-if they had any to begin with-for the plight of others? How can a democratic, wealthy, and educated country appear to be a breeding ground for such self-centered, cold, aloof, unpleasant, and in some cases, very dangerous individuals? This presentation will explore the current state of the science in our diagnostic understanding and treatment of narcissistic and antisocial individuals, with a particular emphasis on differential issues, gender, psychotherapy, psychoanalysis, medication, psychopathy, dangerousness, and risk management. Violence and sexual violence continue to be major criminal, public health and social policy problems in the United States. Those who have responsibility for assessing the violence risk of others are in a difficult position: Can the risk of future violence be predicted? What assessment tools should be used? What is the difference between actuarial instruments, structured professional judgment instruments and threat assessment? What are the relative contributions of drugs, psychopathy and psychosis to violence risk? What are the differences between affective (reactive) violence and predatory (instrumental) violence? Does targeted violence, especially toward public figures, need a different approach? Are there any psychological tests that are useful in assessing certain aspects of violence risk, such as impulsivity or affect dysregulation? In the first major reconfiguration of his highly successful violence risk workshops over the past two decades, Dr. Meloy will present a comprehensive, state of the science, two day training program on violence risk and threat assessment. He will review the new assessment instruments and expand his teaching concerning psychopathy, one of the most important violence risk predictors. Stalking and its relationship to violence and the latest research on direct threats, leakage and warning behaviors will be thoroughly examined. The workshop will conclude with the most effective means of communicating risk to others. Drawing on recent cases of mass murder, including the Virginia Tech killings in April, 2007, and the Las Vegas Strip Sidewalk killings in September, 2005, Dr. Meloy will present what is currently known about adolescent and young adult mass murder. He will focus on both static (unchanging) and dynamic (changing) variables, drawing clinical and forensic distinctions between the more common predatory mode of violence in such murders, and the rare affective mode of violence in such murders. Similarities and differences between adolescents and young adults who commit such killings will be delineated, including suicidality, pairing, bifurcation, weapons use, paranoia, depression, psychosis, and developing personality disorders. Markers along the pathway toward such violence, including "leakage," preparation, planning, and third party "concern" will be enumerated. Although mass murder will never be completely prevented, effective risk management techniques have evolved over the past decade. Dr. Meloy will emphasize the use of both threat assessment teams for the noncooperative but apparently dangerous young adult, and more readily available and comprehensive voluntary mental health services for the young adult who is desperate for help and may be at risk for such extreme violence. Dr. Meloy will present the state of the science of threat assessment. Drawing from the influential work of other pioneers in the field, he will contrast threat assessment with other traditional methods of violence risk assessment. The importance of dynamic risk factors, rather than static factors, in predicting violence will be emphasized, and empirical support will be presented. He will also offer a new model of warning behaviors—pathway, identification, fixation, novel aggression, leakage, direct threat, and energy burst—which shows promise as a tool to advance threat assessment as a behavioral science discipline. Warning behaviors will be illustrated with case examples from both public and private targets, and when operationalized, lead to the strategically rational and legally defensible decision as to whether or not an individual poses a threat. Dr. Meloy will also discuss in detail the process of self-radicalization in the workplace, and how ideologically driven violence will likely pose an increasing threat in the world of economic globalization. Recent acts of targeted violence in the United States and elsewhere, such as the attack in Paris, the Washington Navy Yard, UC Santa Barbara, the San Bernardino, Orlando, Las Vegas and Florida mass murders, reinforce the need for law enforcement, security, corporate, education and mental health professionals to be knowledgeable and skilled in threat assessment and threat management. Many acts of targeted violence are preventable, making their eventual occurrence even more tragic. Of those perpetrators who have gone on to commit violence, many were known to their respective communities as being a potential problem. Threat assessment and threat management have been shown to be effective processes which not only identify a subject at risk but also can provide a road map for successful interventions. This two day workshop will provide the most up to date information on threat assessment and threat management. Taught by Dr. Reid Meloy, a leading expert in the field, this program will showcase the threat assessment process, look at the warning behaviors seen prior to targeted violence, summarize what we know about mass murderers, examine ideologically driven (terrorist) acts, the stalking of public figures and prior sexual intimates, look at new research on threats, describe the WAVR-21 (Workplace Assessment of Violence Risk) and its contribution to workplace and campus threat assessment, consider the “dark triad” of targeted violence, present a factual look at mental illness and violence risk, and describe contemporary risk management strategies. Additionally, Dr. Meloy will introduce the TRAP-18 (Terrorist Radicalization Assessment Protocol) as terrorism has become an important area of concern in threat assessment. All allied professions to the threat assessment process should attend.